Source: Modified recipe from Vivi Laureen's recipe, Femina Magazine. Put the water in a deep saucepan and bring to boil. Heat 1 tbsp butter in a frying pan, stir fry the onion and garlic. Stirring all the time until fragrant. Add the crab meat, pepper and salt. Stir until the crab well cooked. Transfer the mixed crab to the deep saucepan. 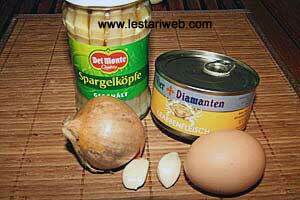 Add the asparagus. Pour in the beaten egg over it and stir quickly to scramble. Add the corn flour water and stir until thicken. 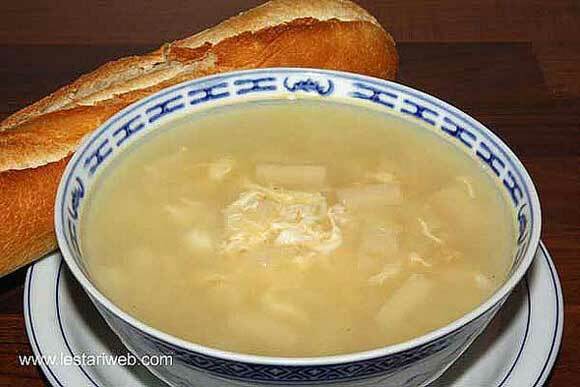 Serve hot as common light soup (in Indonesia) or heavy menu with baguette/French bread.